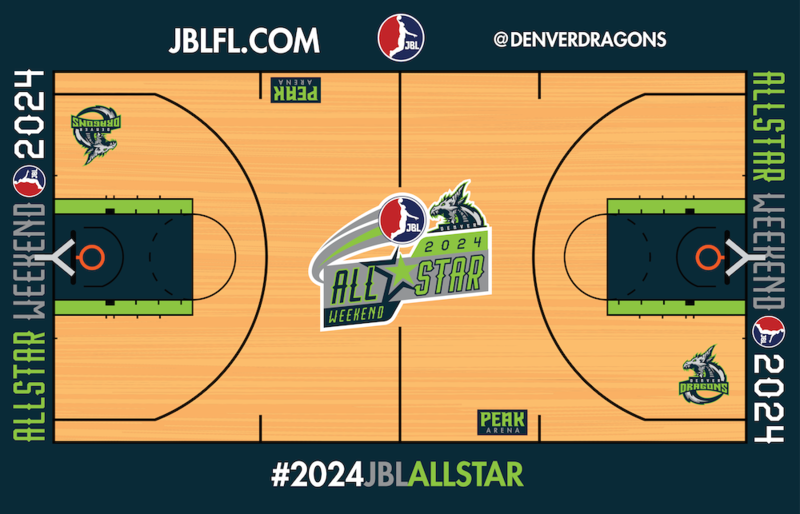 The JBL announced today that Denver has been selected to host the 2024 JBL All-Star Weekend. The 35th annual game will take place at Peak Arena, home of the Denver Dragons. This will mark the first time Denver will host the All-Star game and the first All-Star game to be hosted by a team from the 2021 expansion. JBL Commissioner Jason Forte made the announcement today during a press conference at Peak Arena, where he was joined by Denver Mayor James Matthews, and Denver Sports & Entertainment Commission President Melissa Rodgers. "Denver is known for first-class hospitality and entertainment, making it the perfect host for JBL All-Star," said the Commissioner. "The city is home to some of the most passionate basketball fans in addition to extraordinary facilities. We thank the city for their support in bringing the All-Star weekend to Denver." 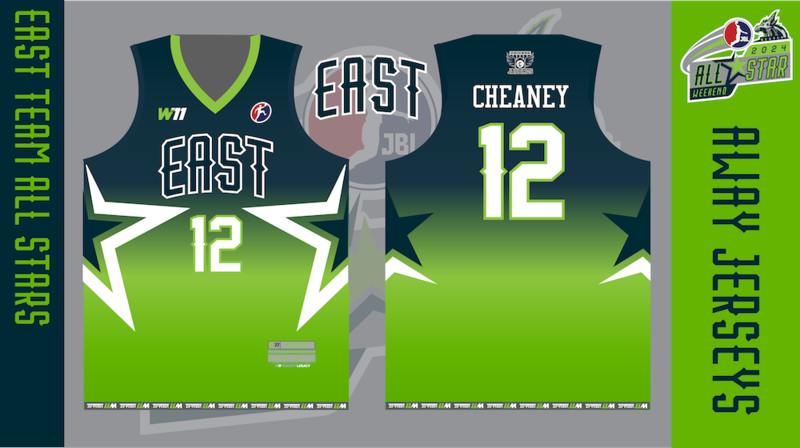 At the same time, the league unveiled the All-Star court design and jerseys. This year's jerseys are designed by JBL merchandise designer W11. W11 spokesperson Jerron Grace said, "We conceptualised the jersey as something that would represent the host city Denver. 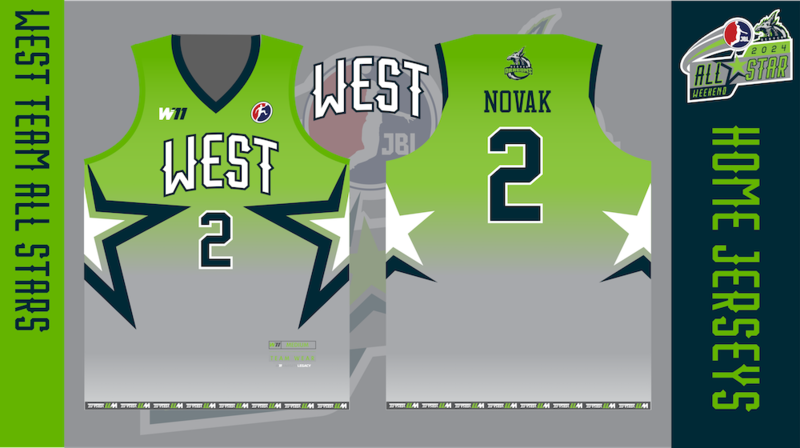 Since the Denver Dragons' colourway consists of volt green, ash gray and deep dark green we decided to use these as the basis for the All-Star jerseys. The home team wears volt green that fades to ash gray, accented with deep dark green and white. The gradient effect gives it a melted look, so to speak. "The away team is the opposite; as the deep dark green is the feature color, it melts to volt green accented with ash gray and white. The materials used for the jersey is the signature Versa-fit fabric technology that is also used for the JBL uniforms: a breathable mesh that is lightweight with triple stitching finish. The overall look of the uniforms is overseen by the JBL and W11 co-operative design team called The CreaDiv. This is one of many projects the CreaDiv has on its pipeline." The W11 brand has already teased the "Emerge" signature series of the JBL uniforms that feature a different look to the current JBL kits.